(newsok.com)State Rep. Casey Murdock has won a seat in the Oklahoma Senate to represent the massive District 27 that covers much of the northwestern region and the Panhandle. Murdock, R-Felt, defeated Democrat Amber Jensen in a special election. The seat has been vacant since former state Sen. Bryce Marlatt resigned in September. The final tally out of 9,098 votes cast was 67.97 percent to 32.03 percent. Murdock has served in the House since 2014 and will leave his post as vice chair of the House Utilities Committee. He’s known as an ardent supporter of agriculture interests and earned attention in recent years with bills limiting the use of drones over someone else’s farm and ranch land. 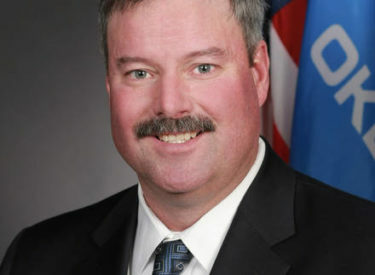 He also supports Oklahoma’s wind industry and voted against the Step Up Oklahoma tax plan on Monday that would have enacted a $1 per megawatt-hour charge on wind production.